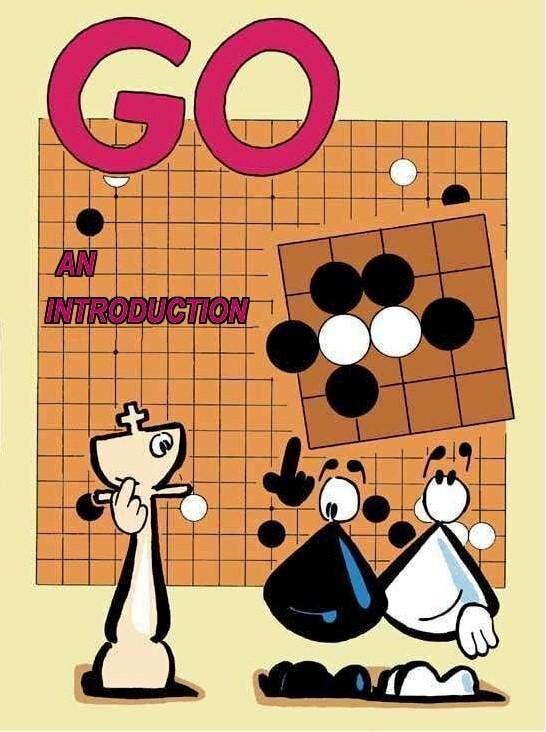 Go has very simple rules and concepts, but a complex strategy. You start with an empty board. You alternately place pieces which don't move (called stones) on it. You try to surround empty areas, whilst capturing your opponent's stones by surrounding them and taking them off the board. However, as with a lot of simple concepts, it can take a little while to grasp the concepts and a long time to master them. Probably the quickest way of getting started is Go An Introduction, a cartoon intro drawn by Andreas Fecke. In it the Chess king and queen are taught to play by the Go stones. Don't be put off by the comic format of this introduction, designed to be attractive to children. It is really a good 5 minute intro for adults! 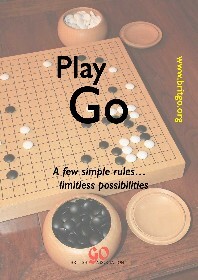 For a more comprehensive introduction, including a rules explanation, an example game, some history and cultural background to the game, see our online booklet Play Go. series of 14 videos in his How To Play Go channel on YouTube. Now why not see what an example game (with comments) looks like? It's here. Igowin for Windows or Igowin Tutor for iPhone/iPad/iPod, for playing on a 9x9 board, adjusts its skill levels to yours as you improve! GoQuest (iPhone/iPad only) allows play against someone online on a 9x9 or 13x13 board. Visit Where can I play? to find out more about the Go community and other playing options. When you've played a few games and you want some clues as to how to play better, the material in this section should be useful. We recommend three sets of lessons for ‘people who know the rules but not a lot more’. They cover similar ground, so have a quick look at each and read through the one you like the look of best. The Interactive Way to Go: This is a comprehensive course with short lessons and exercises that will take you past the beginner stage - you play simple situations on the screen and the computer responds. Tips for Getting Stronger: Written for the UK Go Challenge for youngsters; the later sections bring in a few ideas not covered by the above. Tel's Go Notes: A more compact coverage of the topics, including sample games with comments. And finally: we're sure you will want to explore How can I play better, either now or after you've played a few games.